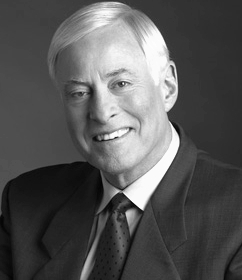 The son of Assemblies of God ministers, Phil Jackson and his siblings grew up without movies, dancing or television. He played basketball, football and baseball in high school and was recruited to North Dakota to play basketball after graduation. While there, he helped his team win third- and fourth-place finishes in the NCAA Division II championships. In 1967, Phil Jackson was drafted in the second round by the New York Knicks, where he played as a favored substitute for several years before joining the starting lineup. Though he was intelligent, hard working, and a good all-round athlete, he was never a star player. He retired from play in 1980. 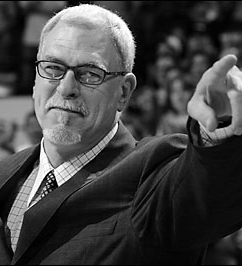 Phil Jackson began his coaching career in the lower-level leagues. He got his break in 1987 when he was hired as an assistant coach for the Chicago Bulls. He was promoted to head coach in 1989 and helmed the team until 1998. It was there that he became known for his modernization of Tex Winter? ?s triangle offense, as well as his holistic approach to coaching based on Eastern philosophy and Native American spiritual practices. 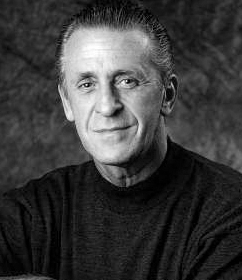 His impressive leadership combined with the talents of such star players as Michael Jordan and Dennis Rodman earned the Bulls six championships: two three-peats in separate three-year periods. The team made it to the playoffs ever year Jackson served as coach. Despite the success, tension grew between Phil Jackson and the Bulls general manager Jerry Krause. After winning the title in 1998, Jackson took a year off, and then joined the Los Angeles Lakers in 1999. He had immediate success with the team, leading them to a three-peat against the Indiana Pacers, Philadelphia 76ers and New Jersey Nets in 2000, 2001 and 2002. Tension between star players Kobe Bryant and Shaquille O’Neal frequently made headlines, and Jackson himself often clashed with Bryant, who regularly disregarded the coach? ?s set offense. In 2004, Jackson left the team. After a disappointing 2004-05 season for the Lakers, Phil Jackson was rehired as head coach. He turned the team around to a seventh-seed playoff spot. In January 2007, Jackson won his 900th game and at $10,000,000 a year, he is the highest paid coach in NBA history.